What a wonderful day, indeed! 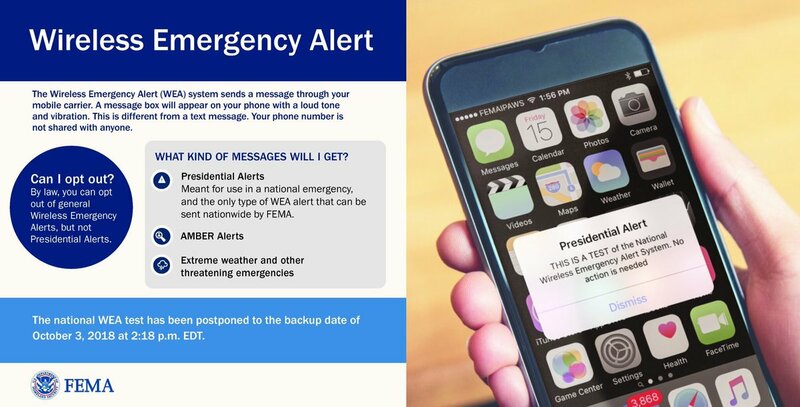 Looking forward to hearing fm @realDonaldTrump via the Presidential Alert again soon! #QAnon post No. 2319…Apparently the #EmergencyAlert system test has occurred. Sessions meeting Huber THE SAME DAY as POTUS_ALERT. What must be understood prior to? Goodlatte subpoenaed Sessions on 27 Sep to turn over all McCabe memos & Page FISA docs. Sessions met w/Huber today AND the day prior to subpoena. He needed to know status of Huber’s investigations & indictments fm grand jury. I do believe it’s showtime! #MartyTorrey was a #CongressionalAide & friend of #HRC. There were emails between them that reveal more #Corruption. He is coded #MH for the #MadHatter. The doc is an #Unclassified #HRC email from #MartyTorrey. Did James Baker just testify behind closed doors [RR] & [JC] coordinated to appoint Mueller? James Baker closed door testimony today + previous to IG / GJ statements > sealed > timed re: Sessions subpoena tomorrow? If Sessions is recused from Russia probe [prevented rec of related docs / info / etc] how can Sessions learn [RR] conflicts re: Russia probe? Per subpoena to Sessions – Schedule 1 – ‘McCabe Memos’. ‘McCabe Memos’ = SOURCE DOCS for NYT article re: [RR] “wear a wire” – 25th amendment? When Deep State knows bad news is about to drop, False Flag attack of some sort is imminent to distract. 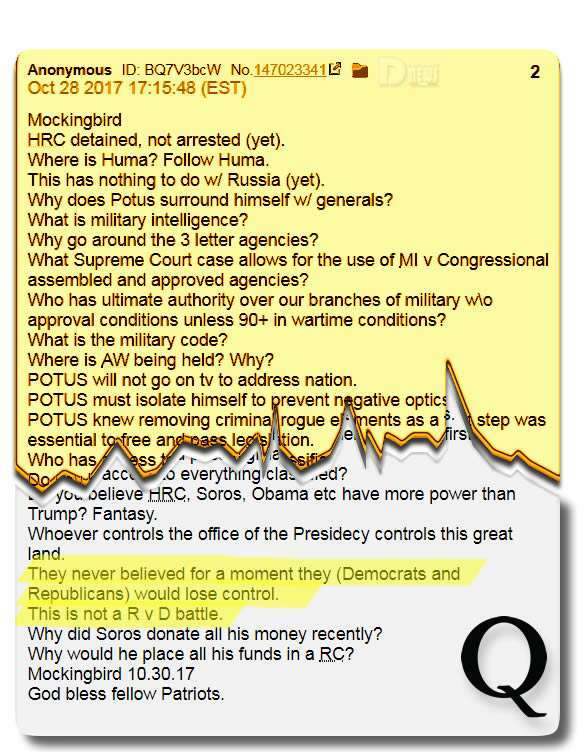 They know Judge K FBI investigation reveals criminal acty, DECLAS FISA docs ends Russia SC, RR resigns, Sessions subpoena deadline 4 Oct, Judge K to be confirmed. 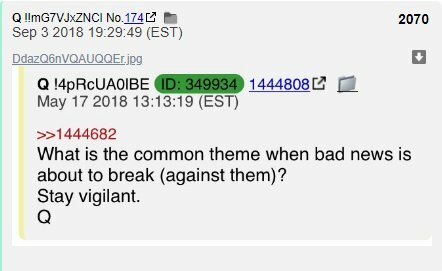 Totally missed the second link in Q drop re: FF attacks. Are ((they)) trying to punish Lyndsey Graham for his strong defense of Kavanaugh? Two plane crashes and now this…all in his state?! Babylon is everywhere. You have wrong and you have right. Wrong is what we call Babylon, wrong things. That is what Babylon is to me. I could have born in England, I could have born in America, it make no difference where me born, because there is Babylon everywhere. 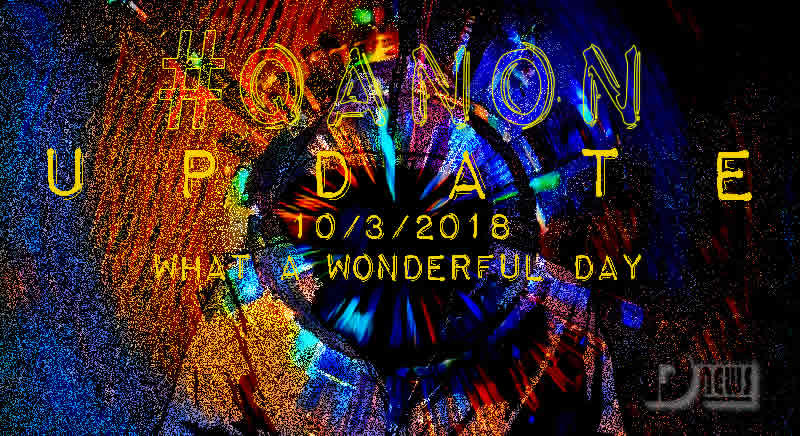 This entry was posted in Uncategorized and tagged Disclosure News Italia, love, Oct. 3, QAnon. Bookmark the permalink.